Fantastic coastal home with 3 bedrooms, 1.5 bath, open beam cathedral ceiling, skylights for natural light & carport with additional storage area. 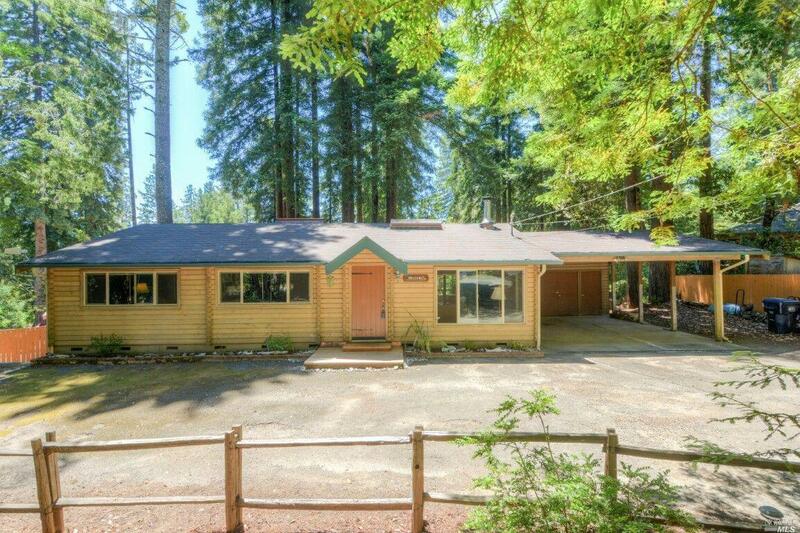 Entertaining spacious deck off of kitchen with hot tub overlooks large backyard with gorgeous redwoods in park-like setting. Close to beach access & the village of Gualala with shops, galleries & restaurants. Perfect for full-time or vacation living. Miscellaneous: Cathedral Ceiling, Deck(s), Skylight(s), Storage Area, Window Covers Incl.